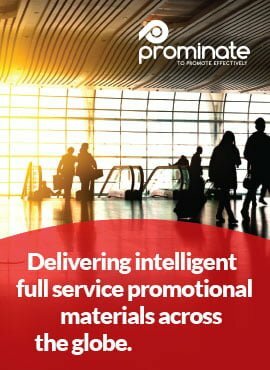 Prominate - global promotional materials solutions, locally inspired, intelligently delivered. We believe we must not only meet the expectations of our customers and consumers, we must exceed those expectations. To that end, we have adopted standards for the safety, quality and integrity of our products and processes and we are committed to respecting the rights of individuals and the environment. We are dedicated to complying with all applicable (local) laws and to conduct business in an ethical and responsible manner. We will comply with all applicable (local) laws and regulations. We will meet applicable recognized voluntary industry standards for our products and processes. We will not use child labour. We will comply with all minimum age provisions of applicable laws & regulations. We will not tolerate any form of forced labour or labour, which involves physical or mental abuse or any form of mental or corporal punishment. We will provide a safe, healthy and secure workplace. We will abide by all applicable (local) laws and regulations for safety and health. We recognize and respect the freedom of our employees to choose whether to associate or organize with any group of their own choosing. If employees are represented by an organization recognized under (local) law, we respect the right to bargain collectively. We will comply with all applicable wage, work hours, hiring, benefits, and overtime laws and regulations. In the absence of a law in a location relating to product safety, labour, employment, environment or working conditions, the spirit and intent of these policies shall be met. We will only do business with like minded partners that have a natural respect for our ethical standards as stated in our Corporate Social Responsibility Code of Conduct. All subcontractors and suppliers are required to comply with all applicable (local) laws and regulations. This code of conduct is an integral part of our company’s day‐to‐day management process. We also expect our business partners to develop and implement internal business procedures to ensure compliance with our policy. The provisions of this code constitute minimum and not maximum standards and all companies applying this code are also expected to comply with national and other applicable law and, where the provisions of law and this base code address the same subject, to apply that provision which affords the greater protection.